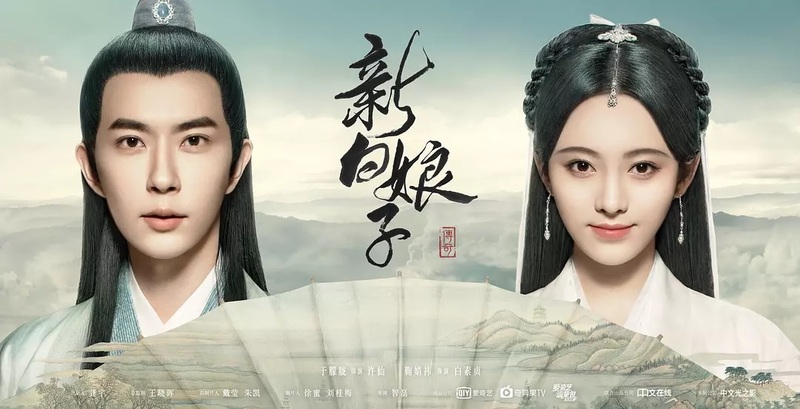 This is the recap of The Legend of White Snake Chinese Drama Episode 4, Xiao Qing brags that their family was famous in Shu State, and they had to leave because the master passed away. Jiao Rong thinks they’re pitiful and tells Su Zhen to ask Xu Xian when she needs help. Su Zhen asks Jiao Rong to give up the rooster, but Jiao Rong cooks it into a dish. 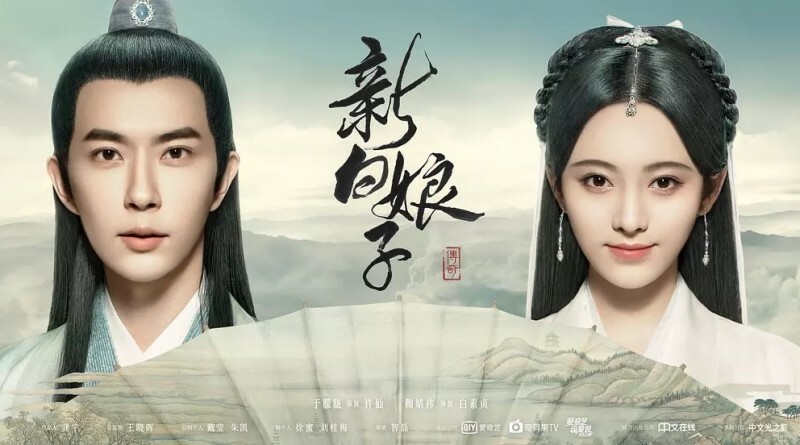 Note: From here on out there are specific plot spoilers for The Legend of White Snake Chinese Drama Episode 4. Xu Xian says that he didn’t see a demon, but saw a pervert before. He accuses Fa Hai of trespassing a private residence with unlawful intent. Jiao Rong tells Gong Fu to catch Fa Hai. Gong Fu asks Fa Hai to go to the government office with him, but Fa Hai walks away. Gong Fu goes to arrest Fa Hai. Xiao Qing tells Su Zhen to stay away from Xu Xian, and thinks Fa Hai has his eyes on Xu Xian. But Su Zhen thinks Xu Xian is quite interesting. Xiao Qing explains that she is just afraid that Xu Xiao brings Su Zhen trouble. She tells Su Zhen to choose a man who can resolve her troubles. She wonders why Su Zhen doesn’t mind the distance between man and woman. Su Zhen explains that Xiao Qing acted so suspiciously, and smiles at Xu Xian. Gong Fu returns and tells Jiao Rong that Fa Hai hopped through several streets and disappeared. He says that he will kill him if he comes across him again. She tells him to wash his hands before eating. He asks Xu Xian if his hands are dirty. Xu Xian wonders what smell is on Gong Fu’s hands, Gong Fu says that it’s just vegetable smell. He tells Xu Xian that Lord Liu’s wife gave him the sachet and fan the young master used, and thinks his hands contain the smell of sachet. Xu Xian mentions Chang Sheng left a sachet before he got kidnapped, and it was the scent of Sky Dragon Powder, which has same smell to Gong Fu’s hands. Gong Fu wonders who uses so much centipede powder in their sachets, and mentions the brocades are very precious. Xu Xian wonders how the criminal found the targets, and guesses he is sensitive to smell. Gong Fu realizes that the murderer is the one who gave the kids sachets, but there are a few hundred embroider shops in Linan City. Xu Xian recognizes the sachet is used in Bian embroidery, and asks Gong Fu to look into it. Gong Fu realizes that the one is the culprit if she is skilled in Bian embroidery. The river monsters are shocked that Xiao Qing wants to fight with centipede spirit, and think she wants to give up the five hundred year old life. But Xiao Qing is excited that it’s time to take back her territory. They tell her to run away when she cannot defeat the spirit, but Xiao Qing points out that she can strategize. She asks them what centipedes fear the most. The old river monster says that centipedes fear Mr. Cluck. Xiao Qing hesitates to catch the rooster. Bai Suzhen thinks Xiao Qing fears rooster. When Xiao Qing catches the rooster, Jiao Rong treats Xiao Qing as thief and asks her to put down the rooster. But Xiao Qing tells Jiao Rong not to yell, so Jiao Rong asks for the official. Xu Xian passes by, and Jiao Rong accuses Xiao Qing and Su Zhen of stealing their chickens. Xu Xian recognizes Su Zhen, and Jiao Rong asks Su Zhen why she caught their chickens. Xiao Qing says that the rooster chased Su Zhen when he saw her. She says that they were intent to look for Xu Xian but they were treated as thieves. Jiao Rong thinks it’s a misunderstanding, and asks Su Zhen if they have eaten breakfast. Xiao Qing offers to help Jiao Rong prepare breakfast. Jiao Rong tells Xu Xian to lead Su Zhen walking around. Su Zhen thinks the painting on the wall is outstanding. Xu Xian says that it’s painted by him, and reveals Chang Sheng mocked at it. Xu Xian tells Su Zhen that he will find a way to save Chang Sheng. But she tells him not to get involved, and thinks it’s handled by the government office. He tells her that his brother-in-law works for the government, and she gives him the powder. The power hurts his eyes, and he recognizes it’s Mugwort powder, which can deal with centipedes. She asks him how he knew about centipedes, and he says that he will hand over the powder to Gong Fu. They go to have breakfast, and she is excited that it’s as tasty as when he made it last time. Jiao Rong realizes Su Zhen has eaten food that Xu Xian cooked, and Su Zhen mentions Xu Xian promised to cook it again for her. Jiao Rong says that Xu Xian doesn’t cook often, and thinks he treats Su Zhen specially. Su Zhen says that she also feels Xu Xian is different from other people. But Xiao Qing glares at Xu Xian and thinks he is more loathsome than other people. Xu Xian takes off the feather from Su Zhen’s hair, and Jiao Rong asks Su Zhen about her hometown. Xiao Qing brags that their family was famous in Shu State, and they had to leave because the master passed away. Jiao Rong thinks they’re pitiful and tells Su Zhen to ask Xu Xian when she needs help. Su Zhen asks Jiao Rong to give up the rooster, but Jiao Rong cooks it into a dish. Su Zhen is excited when seeing the pier. But Xu Xian thinks she should’ve gotten off the boat at the pier if she came from Shu State. Xiao Qing explains that they traveled on land. Su Zhen adds that she felt the horse carriages are faster, so she didn’t come by boat. Xu Xian thinks Su Zhen must have seen and learned many things on the way, and asks her to talk about it. Su Zhen says that myriad flowers bloom everywhere, but Xu Xian points out that only chrysanthemums blooms after the fall season. Xiao Qing trips Xu Xian into water with spell, and Su Zhen tells him to change shoes. Su Zhen blames Xiao Qing for playing tricks on Xu Xian, but Xiao Qing points out that they will be exposed if he accompanied them. Su Zhen worries that Xu Xian finds Qingbo House, Xiao Qing makes the house with conjuring, Su Zhen conjures some living things. Xiao Qing thinks they need to get rid of the centipede if they want to stay there. But Su Zhen thinks it isn’t easy. Jing Song shows up and wants to help them. Su Zhen asks Jing Song how he found them since they only moved there today. Jing Song says that all rodents in the world are his eyes and ears, so Su Zhen asks him to find the centipede spirit. But Jing Song thinks they’re not its opponent, and asks her why she must risk her life since the world is so harsh towards demon kind. But she says that the cultivating is nothing if it cannot help people. Xiao Qing agrees and tells Su Zhen to ignore Jing Song. Su Zhen flatters Jing Song that he really values loyalty, and thinks he absolutely won’t ignore the case. He promises to find the centipede spirit, but asks her to follow his lead after that. She gives Chang Sheng’s pearl to him, and asks him to find its owner. Ms. Wu remembers she thought it would’ve been great if her daughter is a prince, and the kind wouldn’t ignore her like this. Her daughter wished to be with Ms. Wu forever. Ms. Wu asks her how she accomplished it. The girl said that she would keep the mermaid pearl with her always, and she would know it was her if she saw a child with the pearl. Empress ordered to capture Ms. Wu’s daughter because she thought the girl made king fail in the battle. She threw her into the pit of poisonous bugs as insect feed. Ms. Wu wants to go to hell with centipede because he ate her child. But he reminds her that she jumped into the bug pit and used a spicule to sew their souls together. She says that she will eat the children and open the cycle of reincarnation to save her daughter. Jing Song tells Su Zhen that they must stop Ms. Wu as she wants to eat the children tomorrow night, and reveals Ms. Wu is in an embroidery workshop with the kids. Xiao Qing decides to make Fa Hai join them. The green snake climbs to Fa Hai’s staff and thinks he only knows lazing around and hiding. Fa Hai thinks Xiao Qing provokes him and wants to catch her. Xu Xian thinks the killer raises many centipedes, and asks Gong Fu to take the powder. Gong Fu visits the embroidery workshop, and thinks the owner is the most suspicious. Ms. Wu tells the officers to stay and be centipede feed. Gong Fu wants to flee, but she catches him. Su Zhen shows up and saves Gong Fu. But he passes out. Su Zhen asks Ms. Wu to release the kids. But Ms. Wu ignores Su Zhen and returns to the room. Su Zhen hears Chang Sheng’s voice, and goes to save him. Ms. Wu ties up Su Zhen with the threads, Jing Song saves Su Zhen. Ms. Wu kills Chang Sheng by mistake. Su Zhen wants to kill Ms. Wu, but the pearl drops. Ms. Wu recognizes the pearl, and asks Su Zhen about it. Su Zhen tells Ms. Wu that the pearl belongs to the kid she just killed. Ms. Wu tears up and wonders why she didn’t feel the pearl’s power. Su Zhen explains that the power of pearl was all used up to nurture a living soul so that it’s dark and not shining. Ms. Wu opens the road of rebirth, and Jing Song tells Su Zhen that Chang Sheng cannot even enter the spirit lamp. Ms. Wu opens the Three Lives Rock, and read Chang Sheng’s past and present lives. Chang Sheng tells her mother that she cannot take the mermaid pearl with him anymore, and she searched for mother over 100 births, she tried her best. Ms. Wu is in tears and thinks Chang Sheng is reborn as a boy because she likes boy. She goes to attack Su Zhen and wants her demon core.